Dr. Harvey C. Riley, Sr.
Arkansas Country Doctor Museum > Dr. Harvey C. Riley, Sr.
Harvey Cornelius Riley was born on January 15, 1879 in Quitman, Mississippi, the 15thchild of his parents. He moved to Arkansas in early adulthood and started to Physicians and Surgeons Medical School in Little Rock (now the University of Arkansas for Medical Sciences) pursuing his diploma by alternatively taking courses one year, then practicing medicine a year. He repeated this sequence four times before receiving his medical diploma in 1908. He began practice in Cove Arkansas. ln 1910 he relocated to Reydel, then moved to Bayou Meto in Arkansas County (year unclear) where he remained to complete 54 years of medical practice. On February 1, 1911 he married Elizabeth Windham from Mossville, Mississippi. A daughter, Lucile, was born on December 5, 1911 and a son, Harvey, Jr. was born on July 12, 1913. Elizabeth, known as “Lizzie” died on July 29, 1935 and was buried in the Bayou Meto Cemetery. Lizzie played the piano, a talent and attribute passed down to her daughter and granddaughters. far as he could, then ride a horse to the bayou, paddle a boat across the bayou, only to walk the last mile or so to get to his patient. Early record show that he received $ 2.50 for a night call and $1.00 for a day call, or he might get vegetables, a chicken or a pig. For delivering a baby he was paid $7.50. He was known as a generous man and charged no more than he thought a family could pay. During his 54 years of practice he delivered more than 3500 babies. Dr. Riley was a deer and turkey hunter in the fall and winter and had several antler trophies. He was fond of animals, fed squirrels and had dogs as pets. 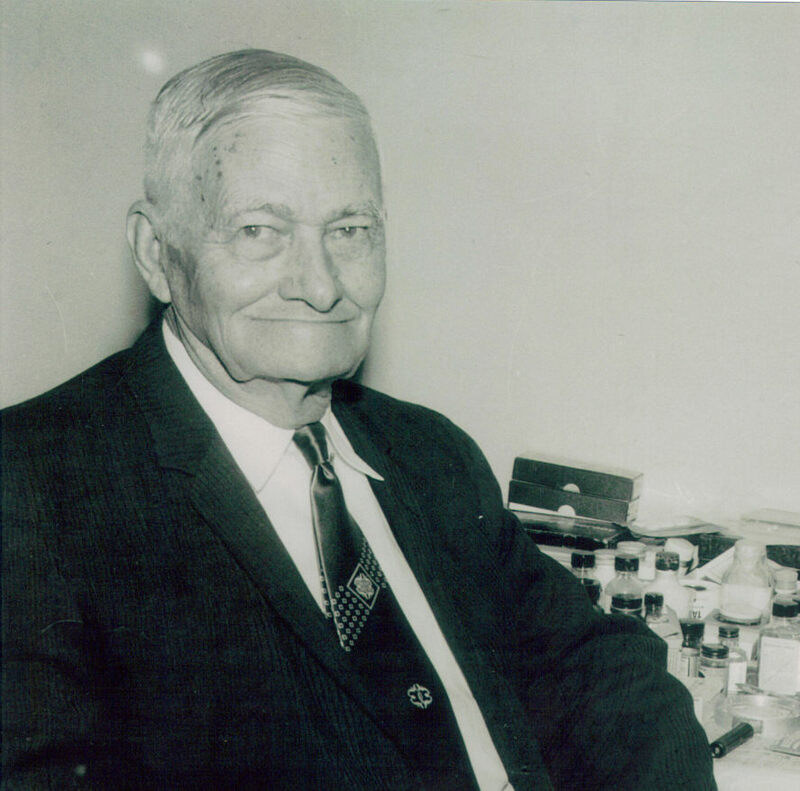 On April 21, 1959 Dr. Riley was honored at the Methodist Church in Bayou Meto. Many of his patients and friends attended to reminisce about the old doctor and how he helped them. The doctor told the crowd that penicillin and vaccines were the greatest improvement in medicine in his lifetime. The Museum of the Arkansas Grand Prairie in Stuttgart, Arkansas has honored Dr. Riley with a mock-up of his office, which contains his weathered black bag, his medical school diploma, a photo of his graduation class and some of his instruments. Dr. Riley retired in November of 1962. He died in Carlisle, Arkansas on Monday, January 9, 1967, six days before his 88th birthday. He is buried in the Bayou Meto Cemetery next to his wife.